Summerfest announced their final headline show for 2014. OneRepublic will perform on the Marcus Amphitheater stage on July 1. Tickets for this show are available after May 17. Ticket King will have tickets for the show, and admission to the entire Summerfest grounds are included in the price. OneRepublic is now just over ten years old. The band lists Colorado Springs as their home town. They started quietly, building a fan base online, and got their lucky break the first year that they formed. Sony picked them up, but it would take four more years before the label would release their first album. It seemed to be worth the wait, as the song "Apologize" rocketed to number one in over a dozen countries. The band lists eight songs as certified hits, and they continue to support all three albums with and extensive tour in 2014. 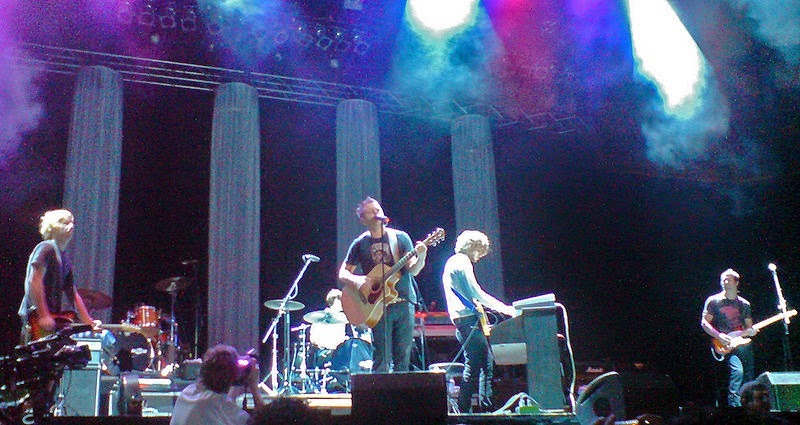 The band took their time when creating their first album. So long, that their first label had dropped them altogether. They continued to promote themselves, and work on the album at the same time. It paid off in the form of an offer from Sony. Their album, titled Dreaming Out Loud took nearly five years to see the light of day, and go on to be a smash. In 2013, the band's third disk, titled "Native" earned top ten honors. Ticket King is just one half mile from the Summerfest grounds. We carry tickets for all the Marcus Amphitheater headline shows, and we're open until 7pm during the ten day festival. Ticket pick up is easy, with our loading zone right in front of our street level office. Call (800)334-5434 today, and we'll help you will your Summerfest ticket order.